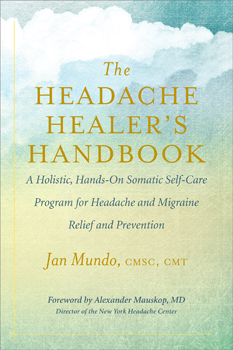 Jan Mundo's mind-body program teaches headache and migraine sufferers how to relieve and prevent their symptoms naturally - without drugs and their side effects. Here she shares her powerful personalized, comprehensive program for the first time. In step-by-step instructions, she helps readers discover and prevent the triggers that perpetuate their headaches - and stop their pain on the spot with her unique hands-on therapy. In a caring and compassionate voice, she makes her techniques accessible to both occasional headache sufferers and those who have long felt misunderstood and misdiagnosed. Brimming with inspirational narratives, questionnaires, guidelines, tracking tools, and author-illustrated instructions, The Headache Healer's Handbook answers the headache sufferer's plea for help and offers hope for a headache-free future.